Running a recent version of CyanogenMod 11 on your device? As of b45 (8-8-14), DubScript packages the Courier Prime Font to be used system wide across Android! Courier Prime is a free font for screenplays graciously released by Quote-Unquote apps under the OFL license. 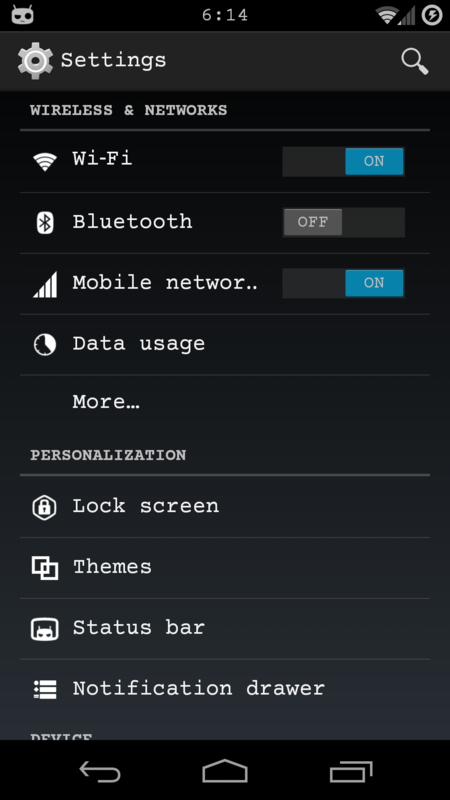 Once you install DubScript on your CyanogenMod device, go to Settings, then Themes, and then Font. It's that easy to set the Courier Prime font as a default in nearly every Android app. Read more about B45 is UP! Lots of new stuff! Also, app size has slimmed down 10% in the last 2 releases! Keep up the terrific reviews and help spread the word! Read more about Oh yeah! B44 Came Out! B45 is on the way!